It was a busy Compiegne with two horses for me to compete and several students. Deja showed her improvements in training in the arena, as well as her growing confidence. Mistakes in the Grand Prix pulled the score down, but there were many highlights and the feeling was very good allowing me to encourage a little more in the Freestyle and take some more risk. She did not disapoint, doing 15 piaffe steps on the point, great extension and beautiful half passes, giving a great feeling that I have been searching for. It was the International debut for Welldone, and I truly love this horse and the feeling she gives me. Still very young and green at this level, her lack of experience shows in the arena, with her not yet able to show what she is truly capable of. I guided her through the test, and the feeling I get from her inbetween is super exciting.. She gave her heart and soul and trusted me, and i know as time progresses and she becomes at ease with the tests she will truly shine. Students Mary Hanna, Antonia Ramel and Joahn Wessner also had weekends with some debuts. It was Mary Hannas Calantas first International at Grand Prix and this duo really have an exciting future ahead of themselves. Antonia and Bro are becoming more at ease in the competition arena as they gain experience and grow together. It was Johans first international at u25, and he has done a great job with Sterling. 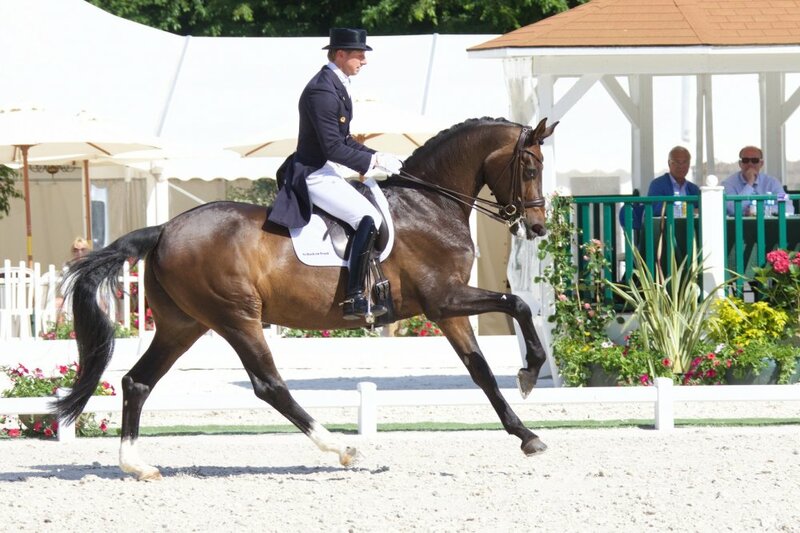 He is cheered on by the entire stable and is a part of our family, and with good scores despite mistakes, the pair hopefully have a grear chance of representing Sweden this year given some experience in the arena.